Wonderful home in desirable Arroyo Grande neighborhood! The gorgeous updated kitchen with lots of beautiful cabinets, newer appliances, recessed lighting has plenty of room for a large dining table and chairs! Lovely laminate flooring, wood burning fireplace with gas starter, 2 master bedroom closets, master bath with over-sized shower, lots of storage throughout the home, many fruit trees including Kaffir lime, orange, persimmon, apple and more! 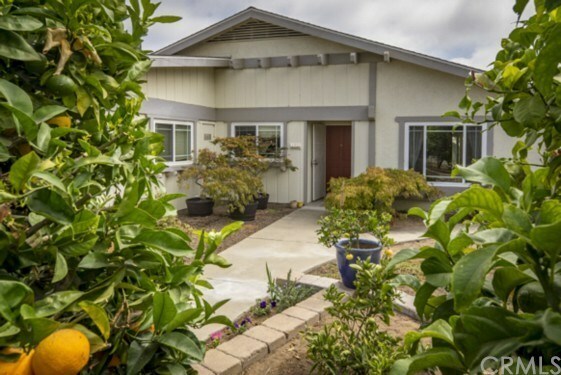 Newer windows, newer roll up garage doors, 2 large storage sheds, expansive patio and lovely garden area, this sweet buy in AG is close to beaches, Village of Arroyo Grande, hospital and doctors yet has a quiet and private feeling. Seller will consider all offers!